Bright dark amber color. Candied aromas of rich caramel, vanilla pancake, hot cinnamon, and salt cured olive with a chewy, vibrant, fruity full body and an interesting, medium-long raspberry in dark chocolate, grilled agave and vanilla creme, walnut liqueur, and celery salt and pickling spices finish. A rich and nutty extra añejo tequila. Bottom Line: A rich and nutty extra añejo tequila. 88 • El Mayor Tequila Blanco 40% (Mexico) $24.99. 88 • El Mayor Tequila Reposado 40% (Mexico) $29.99. 86 • El Mayor Tequila Añejo 40% (Mexico) $34.99. 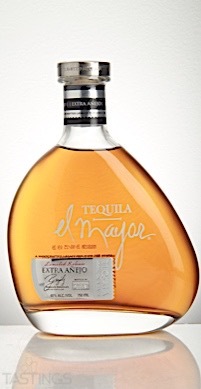 93 • El Mayor Tequila Extra Añejo 40% (Mexico) $99.99. 88 • Exotico Tequila Blanco 40% (Mexico) $14.99. 89 • Exotico Tequila Reposado 40% (Mexico) $14.99. 93 • Pearl Vodka 40% (USA) $14.99. An extra añejo tequila must be aged for at least three years in oak barrels that have a maximum capacity of 160 gallons (600 liters). These are dark-colored tequilas - deep amber or copper - that have a spicy oak-influenced flavor with notes such as dark chocolate, tobacco and Asian spices. They typically have a long, refined finish. Extra añejo tequilas can display great style, depth of flavor, and finesse and are meant exclusively for after dinner sipping. 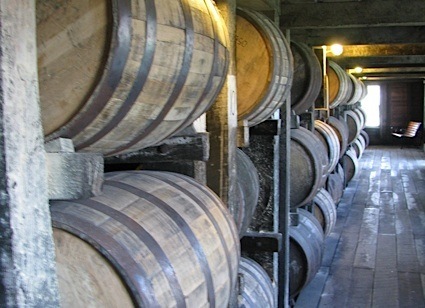 It should be noted that among tequila producers, aging tequila for more than four years is a matter of controversy. Many tequila producers oppose doing so because they feel that "excessive" oak aging will overwhelm distinctive and delicate earthy, fruity, and vegetal agave flavor notes. El Mayor Tequila Extra Añejo rating was calculated by tastings.com to be 93 points out of 100 on 6/6/2017. Please note that MSRP may have changed since the date of our review.